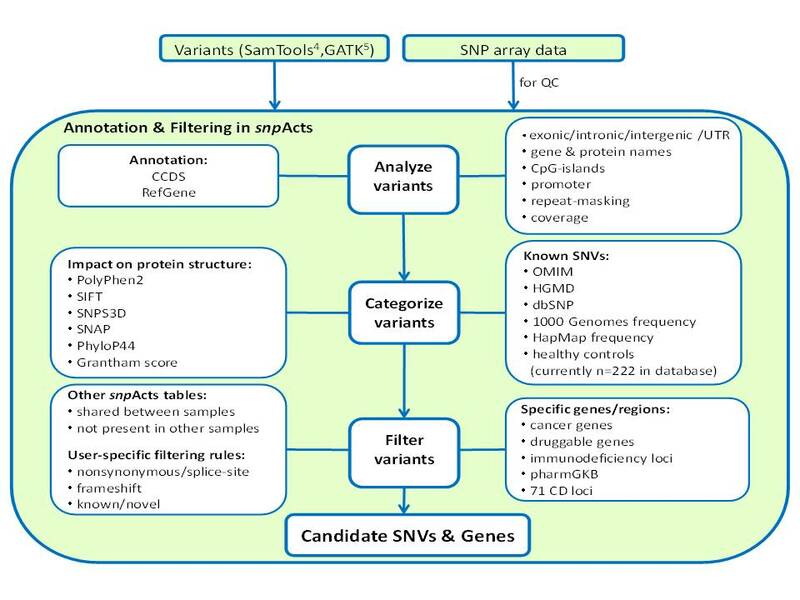 We routinely utilize exome sequencing, which covers protein-coding regions and splice sites, and allows the detection of SNVs, indels and CNVs. 64 exomes (cov. 50x) are sequenced on a HiSeq in 10 days. In RAPID mode, 32 exomes are sequenced in 2 days. The turnaround time from DNA sample to results is approx. 4 weeks, our capacity is 8,500 exomes per year. For copy number analysis, we cooperate with the Estivill group within the ESGI project. Whole genome sequencing is routinely performed, at 10x the cost of an exome. Four genomes (coverage 40x, 2x101bp reads) can be sequenced in 10 days, or – in RAPID mode - two genomes in 2 days. The time from sample to results is approx. 6 weeks. 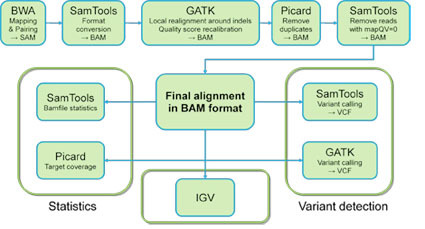 Genome sequencing adds the detection of regulatory variants (intronic, intergenic), breakpoints, structural variants, viral/bacterial sequences, and viral integration into the host genome. For structural analysis we cooperate with the Estivill and Korbel groups.